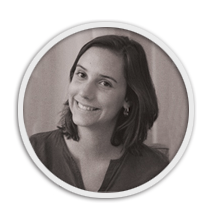 As Programmes Coordinator, Camille Rouaud is holding together all ECES programmes and activities. She manages the liaison between ECES’ experts, the field and the partnering CSOs. She participates in the management activities that take place in the Brussels Headquarters, while also providing key support to the work carried out by ECES in the field. She also conducts research on electoral assistance and supports ECES staff in the drafting and publication of documentation. She was project assistant at the United Nations Democracy Fund (UNDEF) in New York where she participated in the management of around 70 projects aiming at deepening democracy, providing electoral support and protecting Human Rights worldwide. She also worked in Peru, with a local NGO that specialized in sustainable development, on gender based violence and in India, where she assisted a local NGO in the management of development programs based on microfinance. She holds a specialized masters degree in Development and International Cooperation (Sciences Po Lille).